Story Contracting is a family-owned, award-winning infrastructure company. With regional offices across England and Scotland, Story is highly respected nationally for providing rail, plant and construction solutions. We are one of only two plant providers in the UK to be awarded ‘Gold’ on Network Rail’s Route to Gold for reliability and continuous improvement. 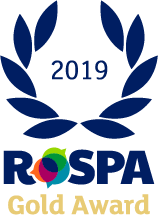 Story Contracting has also earned a reputation of maintaining outstanding health & safety practices across all our regions and operating divisions – this was recognised nationally with the awarding of the prestigious RoSPA ‘Gold’ Award for three consecutive years. Our business has grown year on year. We have ranked among Britain’s fastest growing private companies and forecast high turnover for the year ahead. However, we measure our success by safety, quality, customer satisfaction and respect. Our motto is to ‘Do It Right’ and that applies to our people, our clients and our supply chain. Our current Charity Partners are Mind and SAMH, who provide advice and support to empower anyone experiencing a mental health problem. MIND and SAMH believe no-one should have to face a mental health problem alone. They’ll listen, give you support and advice, and fight your corner. To be considered as a future Story Contracting Charity Partner please submit a short written application (no more than 300 words) in support of your charity and email it to requests@storycommunity.co.uk. We select our Charity Partner in March each year. Story Construction was founded by Fred Story in 1987. The business incorporated what is now Story Homes and Story Contracting. Right at the start, Fred had just three colleagues working with him on a variety of projects in and around Carlisle. Story Construction complete their first ever development of new homes in the village of Thurstonfield near Carlisle. Story Construction expand their team taking the headcount to 12. Fred leaves his bedroom office to a portakabin in the garden. Story win their first ever £1m contract to build new cinema in Botchergate, Carlisle. Story win their first award for housing on a 12 house scheme at Moorhouse Village for ‘Quality in the Residential Environment’ from the Royal Town Planning Institute. Fred and his team move from his portakabin in his back garden to a four acre site at Burgh Road, Carlisle which is still the Story Contracting head office today. The team at Story reach 100 in 12 years. Story purchase their first Road Rail Vehicle, a specialist machine for working on the Rail Infrastructure. Story purchased Carlton Village site for £1.3m for the development of 400 new home, the largest site to date. Story acquired Point On Trackwork, a Carlisle based company that provides skilled labour to the railway industry. The company was rebranded and named Story Point On Trackwork. The house building business splits from Story Construction with the formation of Story Homes. In 2001, Story Point On Trackwork Ltd becomes Story Rail. Story ranked in the Sunday Times Profit Track 100 with an average annual sales growth of 40% over the previous five years reaching a turnover of £30m. Story Homes unveil Reiver statue on Scotland Road, Carlisle marking the first apartment development. Fred Story is named Cumbrian Director of the Year in recognition of his businesses growth and support back into the Cumbrian economy. 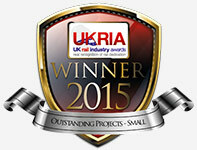 Story is named Carrillion ‘Sub-contractor of the Year’ delivering numerous renewal projects on the West Coast Mainline. Works were carried out using Road Rail Vehicles, a first for the rail infrastructure! Story Contracting and Story Homes celebrate 25 years in business with colleagues and their families at a celebration event in Carlisle hosted by Fred. Story Group split to form two distinct companies, Story Homes and Story Contracting. Both with ambitious plans for the future. Story Contracting in partnership with Network Rail picked up an ICE West Midlands Award in the ‘Construction’ category. Story Contracting open new depot in Normanton, West Yorkshire to expand regional delivery in the North East. Home to a fleet of plant machinery and the Rail division’s LNE team. Story doubles the size of in-house fleet to more than 50 vehicles expanding national footprint and support to customers. 17 staff from Caledonian transfer to Story including a refurbishment of the new Edinburgh depot in Bonnyrigg. Story’s Plant Division pick up two Network Rail RRV Awards recognising Story as ‘Most Improved’ and the industry leading ‘Best On Track Operator’. Story Contracting pick up a NW Regional Construction Award for ‘Integration and Collaboration’ for the Merseyloop slab track project after being shortlisted in three categories. 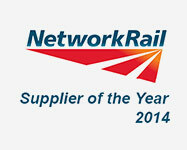 Story Contracting named best rail infrastructure supplier in the UK, the highest accolade for any contractor working with Network Rail on the Rail Infrastructure. Story Contracting win it’s biggest ever contract, an £8 million Opacification Plant for Innovia Security in Wigton. Story Contracting create 40 new jobs after securing a record £100 million framework contract with Network Rail through CP5. Story picked up ‘Outstanding Project’ at the UK Rail Industry Awards for eliminating one of the top risk level crossings in the country. Pleasington Overbridge Construction in Lancashire used a FlexiArch solution which was a first for the rail infrastructure. The brand new Story Training Centre built by Story’s Construction division at the Burgh Road site was opened by Nexus apprentice Josh Forster. Story Contracting was ranked in the Sunday Times BDO Profit Track 100 league table at number 33 along with Story Homes at 87. A unique position, to have two companies rank in the same league owned by the same person. 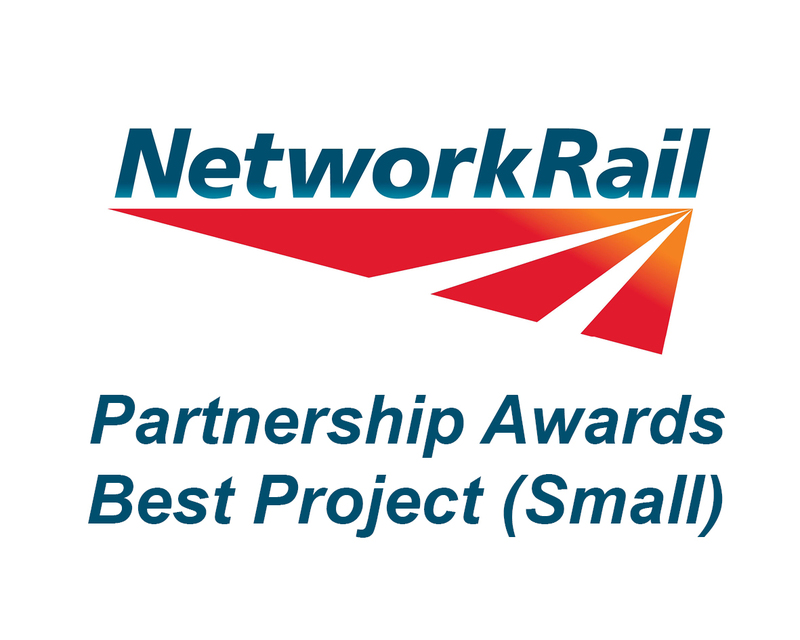 Story win Best Project (Small) at the Network Rail Partnership Awards for the innovative solution to close the existing high-risk level crossing at Pleasington Golf course in Lancashire. Story Contracting launches its housing division ‘Reiver Homes’ in April 2015, specialising in small to medium sized luxury developments in Cumbria and South West Scotland. Story’s Rail division pick up the Smeaton Award at the ICE Yorkshire and Humber Civil Engineering Awards for the complex reconstruction of Scarborough Bridge in the centre of York. V500 marks the purchase of our 500th construction vehicle (not counting all of our Plant machinery!). V500 truck is both a landmark for our Plant division and also indicates the strong growth that our business is experiencing. 145 staff joined Story Contracting over the last year, setting a new record for the number of new recruits in a year by the company. This takes Story Contracting’s workforce to 500 for the first time in their 29 years of operating. Story Contracting was awarded ‘Most Improved RRV Operator’ and ‘Share with Pride Champion’ at the Rail Live Awards 2016 – recognised for the developments, practices and machinery that make Story one of the best operators on the Rail Infrastructure. Story Contracting invests £1.5 million in extending its Carlisle Head Office, increasing the total space to 25,000sqft and making room for 100 new starters in the 12 months. Story’s Rail division was awarded ‘Most Interesting Original Project’ for the new rail connection to Arcow Quarry. Story provided the design and implementation of the track and civils works. Story Contracting appointed Jason Butterworth as Chief Executive Officer. Jason replaced Fred Story, the founder and owner of Story Contracting, who resumed the role of Chairman. Story’s Plant division become one of only two companies in the UK to be awarded the Bronze Medal on Network Rail’s Route to Gold Scheme in recognition of outstanding plant performance. Story’s Construction division win ‘Best Community Project’ at the North West ICE (Institution of Civil Engineers) awards for their Currock Bridge Cycleway works. Story Contracting achieve the ‘Gold’ award in the highly regarded annual scheme run by the Royal Society for the Prevention of Accidents (RoSPA), in recognition of excellent health & safety practice across all areas of the business. Story Contracting listed in the London Stock Exchange Group’s annual ‘1000 Companies to Inspire Britain’ report following sustained growth and business performance. Story Contracting’s Mersey Loop Track Slab project wins ‘Project of the Year’ at the Institution of Civil Engineering (ICE) Awards, with the Eden Brows project ‘Commended Excellence’ in the same category. 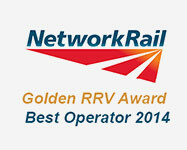 Story Contracting presented with GOLD on Network Rail’s Route to Gold with only 1 other supplier in the UK receiving the accolade awarded in recognition of reliability statistics, behaviours and continuous improvement. Story win ‘Best Small Project (under £25 million)’ at the Rail Partnership Awards 2018 for the repair works completed at Eden Brows on the Settle to Carlisle railway line. Paul Jameson joins Story’s Plant division as a Fabricator/Welder, taking the company’s number of employees to 700 for the first time.